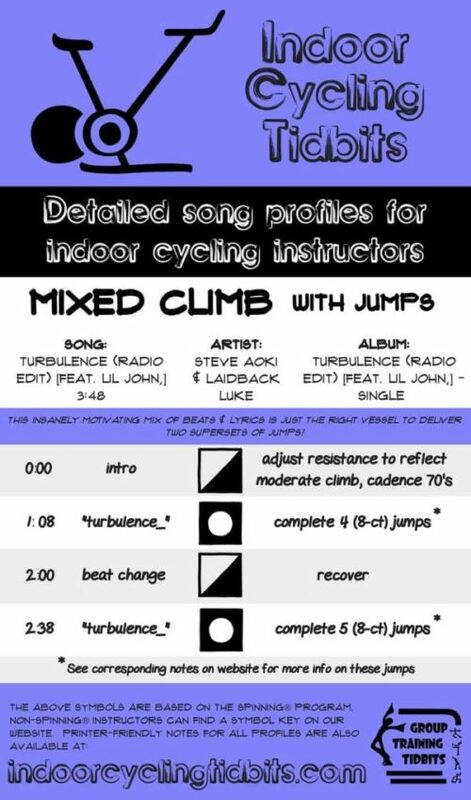 If you could create a song with the sole purpose of cycling jumps, this would be it. Everything about it makes you want to jump and makes you want to jump like you’ve never jumped before! Because the recovery time built in to this song is relatively minimal, and the intensity should be pretty high, you might want to place a recovery song after this one in your playlist. Looking for another mixed climb with jumps profile? Try this one. If you'd like more info on cueing this track please let me know. If you've tried the profile let me know how it worked for you!